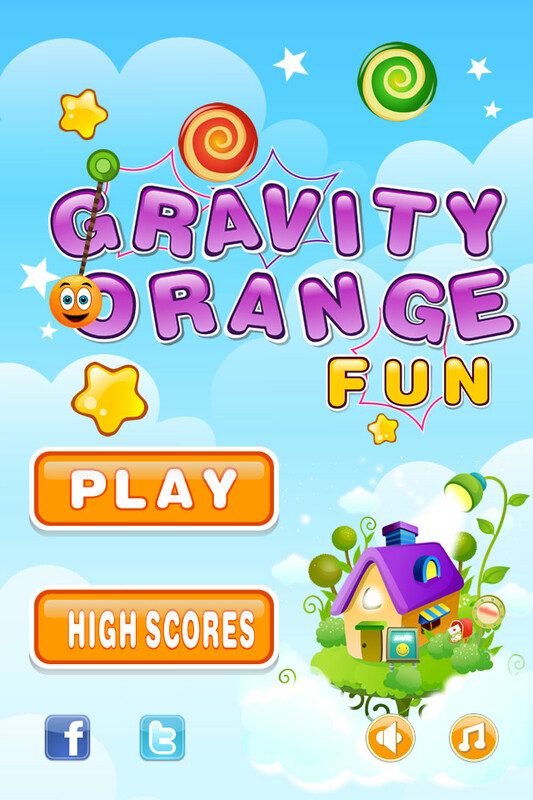 Gravity Orange: Fun - It is different with Gravity Orange. 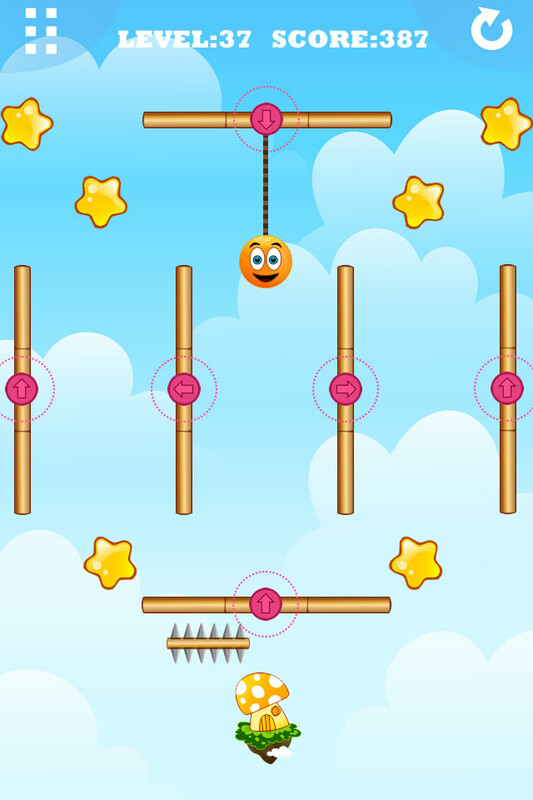 In the game, u should use the different boards to help the orange to get all the stars, then the door of the mushroom house would open. Pass the orange through the door to go to the next level. Keep it away from the spikes because they are dangerous. - Cut off the ropes to drop the orange. 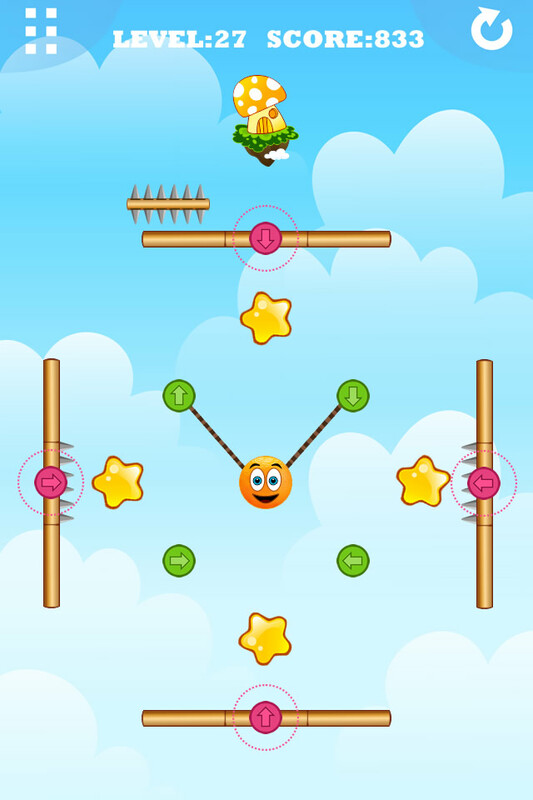 - Collide with the green or red buttons to build rope. 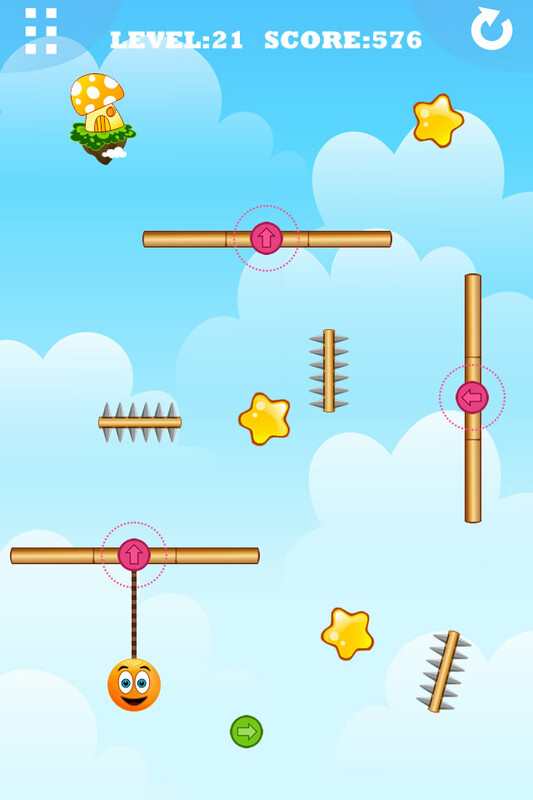 - Collide with the buttons which containing arrows to change gravity direction. - Move the red buttons in the board. 1. 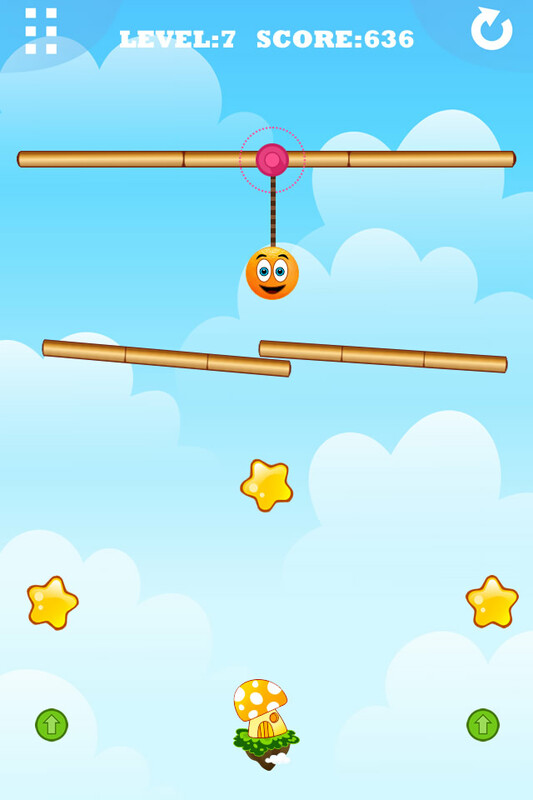 40 levels, more soon. 1.Fix bugs in lower iOS versions.